Product information "Key safe 1420 E Code"
A special process is used for storing and accessing deposited valuable objects and keys. This enables the remote generation of codes and assignment to recipients – without electricity supply or internet connection. 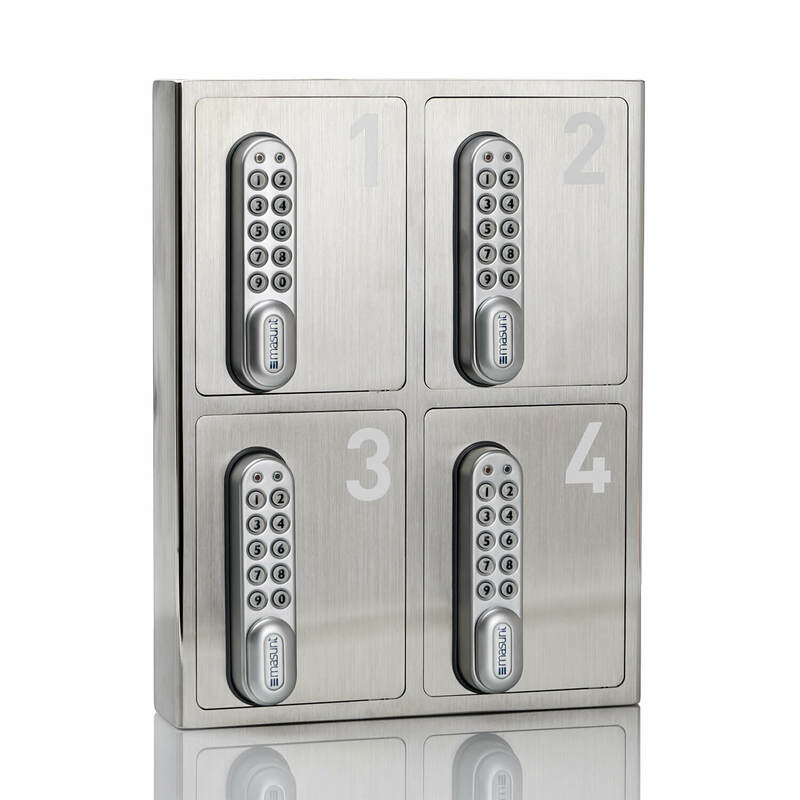 Each compartment can be operated manually with a 4-digit user code. An 8-digit master code is available too. 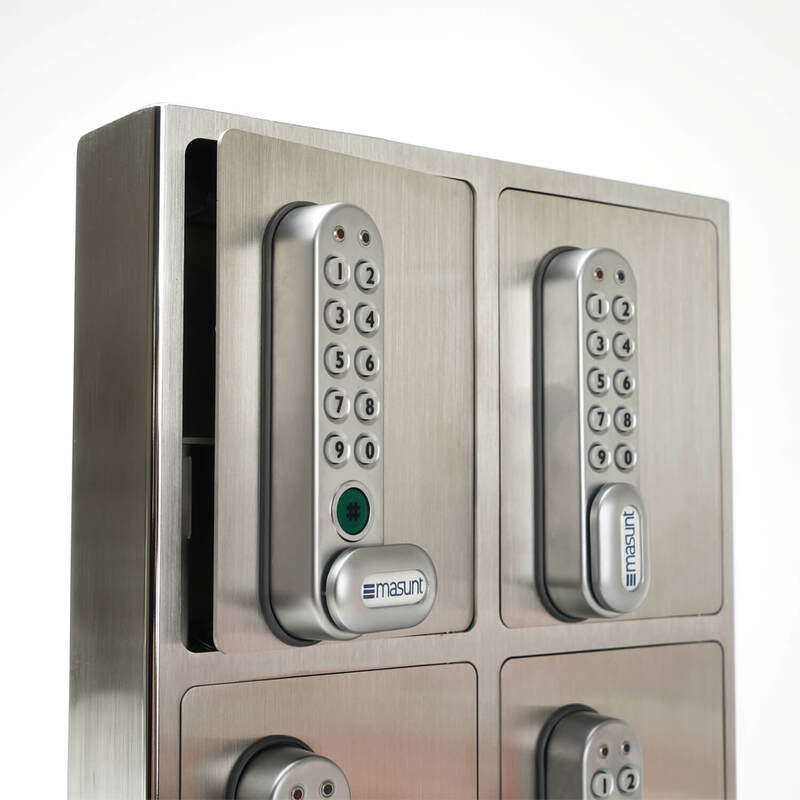 This is used by the owner/manager and serves to open and programme the safe. Code generation can also be done by an online platform. This offers secure, easy to understand and quick operation. The 6-digit codes generated this way have a temporary validity (from 1 hour up to 365 days) and can be conveniently transmitted to the respective users. This service (www.kitlock.net) is provided by our cooperation partner, Codelocks Ltd. 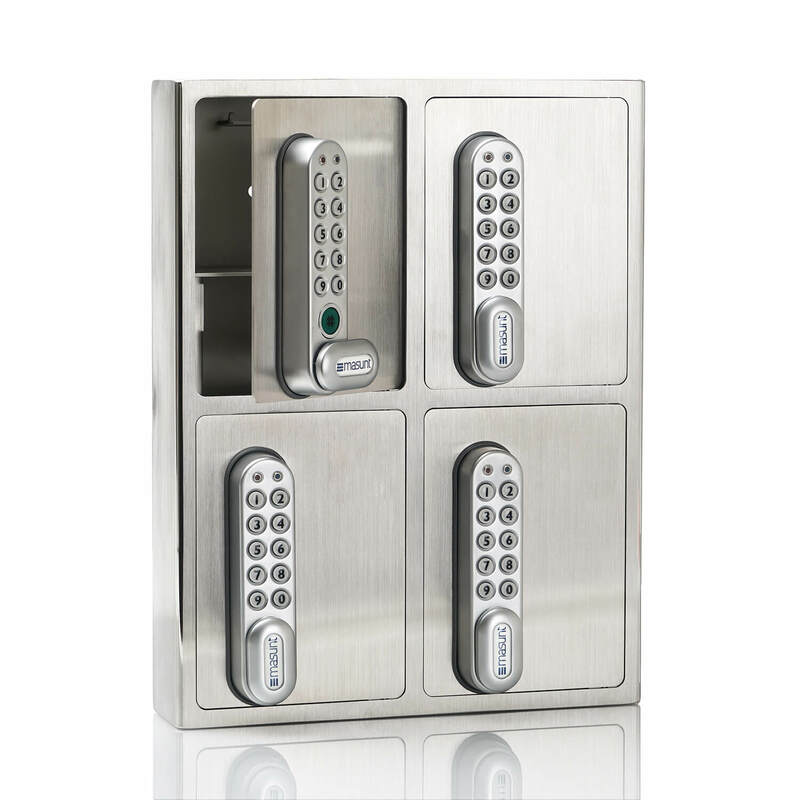 The key safe is solidly constructed with high-quality AISI 304 stainless steel. If using in regions close to seawater opt for the AISI 316 stainless steel version. Not only does this special steel help achieve a durable product, it guarantees high-end design – impress your customers with brushed stainless steel! 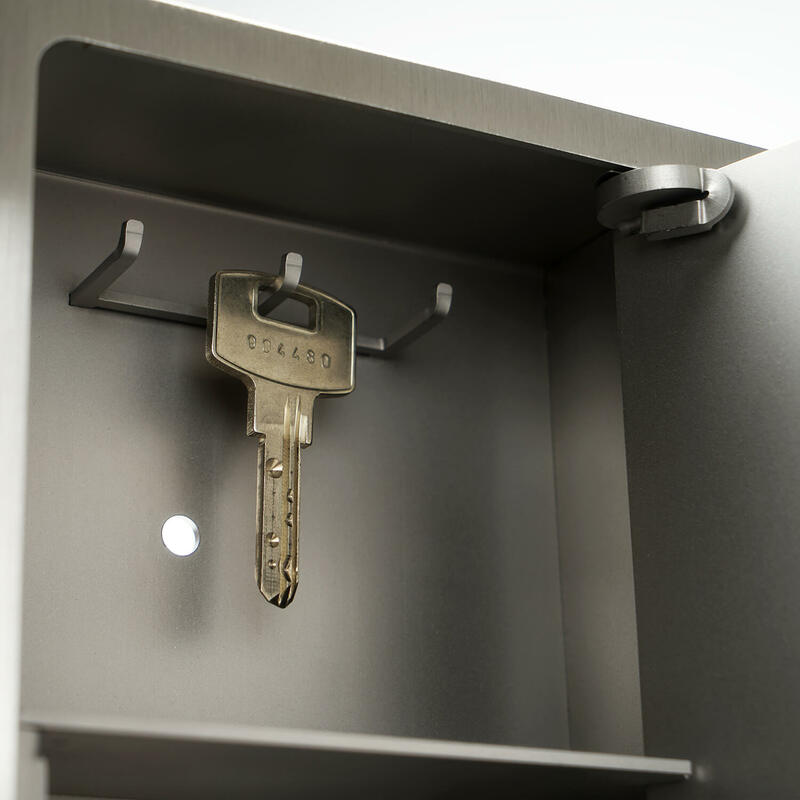 The key safe is offered in a single-compartment and 4-compartment version. The 4-compartment version is best suited to hotels or companies that require to hand over several keys to several people at short notice. 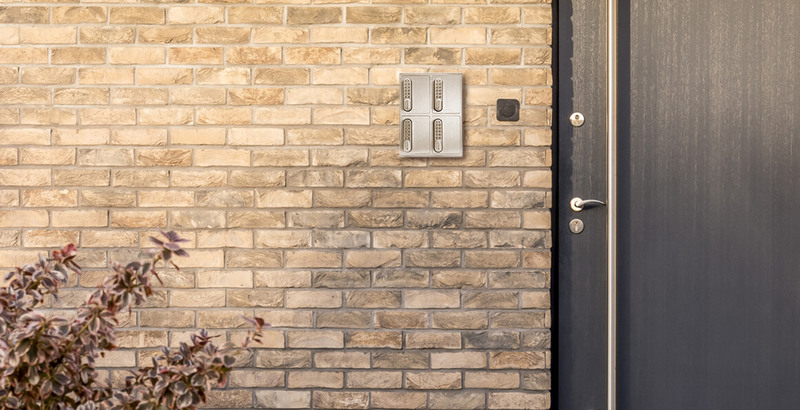 Both versions offer both indoor and outdoor use since both are manufactured from the same high-quality stainless steel and the electronics are designed for use outdoors. Customer evaluation for "Key safe 1420 E Code"